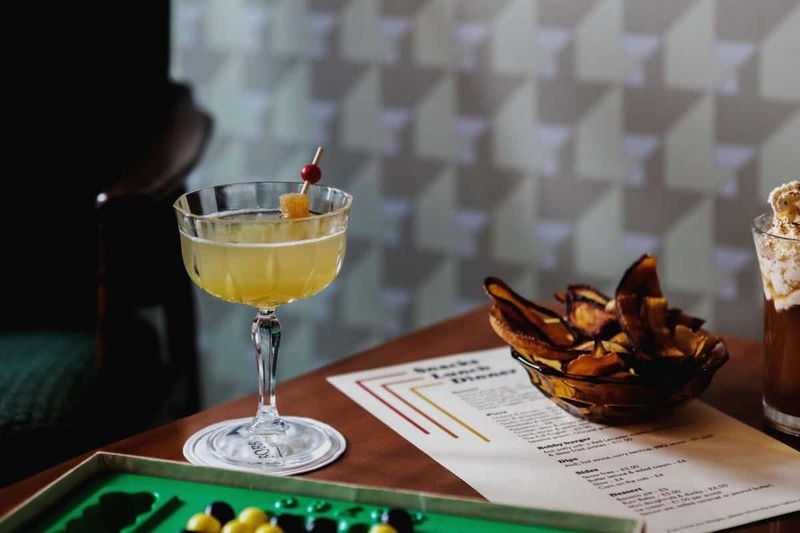 A new addition to West Hampstead’s drinking scene, Bobby Fitzpatrick’s eponymous bar is a firm nod to the ‘70s – one of the most culturally vivacious decades of 20th Century history. With a strong focus on pizza and cocktails, the themed bar is unapologetically retro and has a strong focus on rum. Inspired by ‘Bobby’s Rum Diaries’ of his travels in the Caribbean, the cocktail menu draws from chapters of the owner’s personal history. The ‘Alison Mahoney’, for instance, is named after his first girlfriend and senior year prom date and is heavily inspired by the classic daiquiri, featuring spiced Havana Club spiced rum, lime juice and ginger syrup. Infuse the rum with lime zest, a cinnamon stick and 12 cloves for 24 hours. To make the ginger syrup – blend the ginger juice and caster sugar until dissolved and smooth. Shake all ingredients and double strain into a coupette glass. Garnish with crystallised ginger. Further information on Bobby Fitzpatrick’s can be found at bobbyf.co.uk.